Spread the Words & Music !! "Music by Intention" concerts herald Andy's decades of researching standard songs which evolved into Swing and Jazz, America's enduring contribution to the arts. Audiences are guided on a musical romp through the historic Golden Age of American music. Songwriters Cole Porter, George Gershwin, Irving Berlin, Jerome Kern, Richard Rodgers & Lorenz Hart, Harry Warren, Johnny Mercer, and others from that unique musical era, provide the spirit and inspiration for Andy's stage performances. 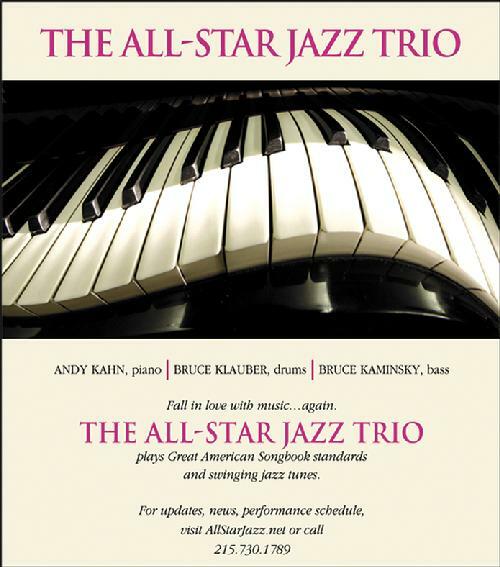 Peggy King and The All-Star Jazz Trio. 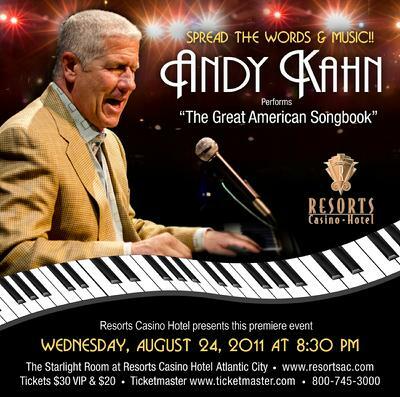 "ANDY KAHN - MUSIC BY INTENTION"
ANDY KAHN - "Music by Intention"
Click: Jazz Times - October 2010 - "Andy Kahn - Songs of the Spirit"
Click: Jazz Times - August 2011 - "Andy Kahn Wows 'em at Resorts in AC"
Click: Jazz Times - May 30, 2012 - "Andy Kahn Meets Vladimir Horowitz"
Click: South Philly Review - December 5, 2013 - "THE PATH OF KAHN"
What is Music by Intention? The songs with their melodies and their lyrics. They are the essence of our lives. Composers and lyricists write from their own experiences. About friendship. About love. About yearning. About euphoria. About heartbreak. Joy. Sadness. Happiness. Abandonment. Loves desired. Loves found. Loves lost. Loves found again. Creation. Destruction. Renewal. Promise. Despair. Gain. Loss. Growth. Success. This is the human condition. We can't escape it. We are, after all, human. It is, and remains the INTENTION of all composers and lyricists to document what it is about being human that keeps us at it, keeps us alive. They show us the way. They confirm what we already know in our hearts and minds, but most people are unable to express it. So they do it for us. And in so doing, they influence us throughout our lifetimes. They influence future generations with the thumbprints they place upon previous ones. We're affected by the compositions. We're moved to smile, to frown, to shed tears of sadness and weep with the joy invoked in us. Our spirit is transformed by the songs of our lives. This is Music by Intention. Watch Andy's video links in the following sections! 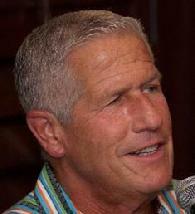 Performing in Philadelphia, New York, Atlantic City, Maine and on cruise ships, Andy has woven his musical spell on appreciative audiences who have attended these fundraising or entertainment events. 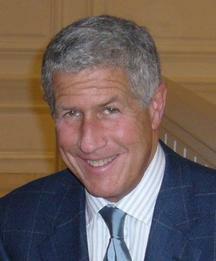 He has raised impressive amounts for aids-related support agencies, non-profit organizations and charitable foundations. Andy performed as a solo pianist in an event to introduce a theatre's new 9 foot Steinway grand piano. He has entertained residents of a condominium building for their annual summer event, in jazz festivals and in small, intimate settings where he interacts with his audience in a very personal way. His annual performances to benefit a museum in western Maine have become an annual hot-ticket each summer for residents and visitors to the area. He has entertained audiences in Europe aboard the world's most luxurious ocean liners. Andy's affable personality and obvious love for the music he plays and sings keeps his audiences entranced while he is performing. He maintains a huge repertoire of standard songs, easily recalled by memory and never played the same way twice. Rooted in standards and jazz, Andy's concerts bring to life the songs that shape our history and portray our daily existence. Andy's musical repertoire extends beyond just knowing how to play and sing songs well. He has spent decades studying American standard songs, their evolution into Jazz and the prolific composers responsible for these timeless compositions. Andy's affable musical style and alluring presentation delivered from the keyboard intoxicate his audiences who discover how melodies and lyrics were interwoven by composers into timeless compositions that would endure for years to come. It is no accident that songs penned in the 1920's, 1930's and 1940's sound fresh today. The composers and lyricists were masters at touching listeners in a personal way, making it easy for us to relate these songs to our everyday life. This is why these jewels are referred to as standards. They live on and on. Andy has committed himself to maintaining the legacy of the writers who provided us with blueprints for our lives, with guidelines shared for generations by people influenced by the compositions. We relate to their stories told, we learn to understand our human condition better. We appreciate the value of the messages contained within these treasures. Their extraordinary values are what give these compositions their staying power. Borrowing a phrase from the Gershwins - This music is "Here to Stay" - and if Andy Kahn has anything to sing about it, stay it will. 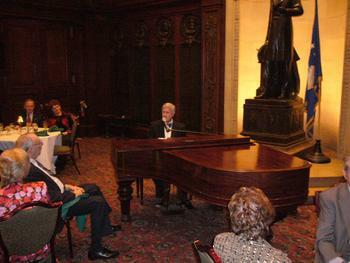 Performing several times in the Lincoln Room of The Union League in Philadelphia, Andy provides the magic to an evening of songs penned by Cole Porter, George Gershwin and Jerome Kern. From the keyboard of their vintage Victorian Steinway conspicuously located at the base of a huge bronze stature of one of America's most influential presidents, Andy performs songs from composers that are of no less stature than this room's namesake. Tables of listeners ranging in age from their 30's to their 80's are mesmerized by songs that many of them have known for most of their lives. It is the familiar nature of these songs and the ways in which they touch the heart and spirit of the listeners that make them last. Like standard-bearer Abraham Lincoln who presides over this magnificent room at The Union League, these standard songs define the ideals of the composers who graciously bestowed them upon us. Andy plans to continue to perform them to ensure that they maintain their own place in our colorful American history. Andy serves as Artist-in-Residence at Jacobs Music Company of Philadelphia. He represents Steinway & Sons pianos as a valued Steinway Spirio Artist. 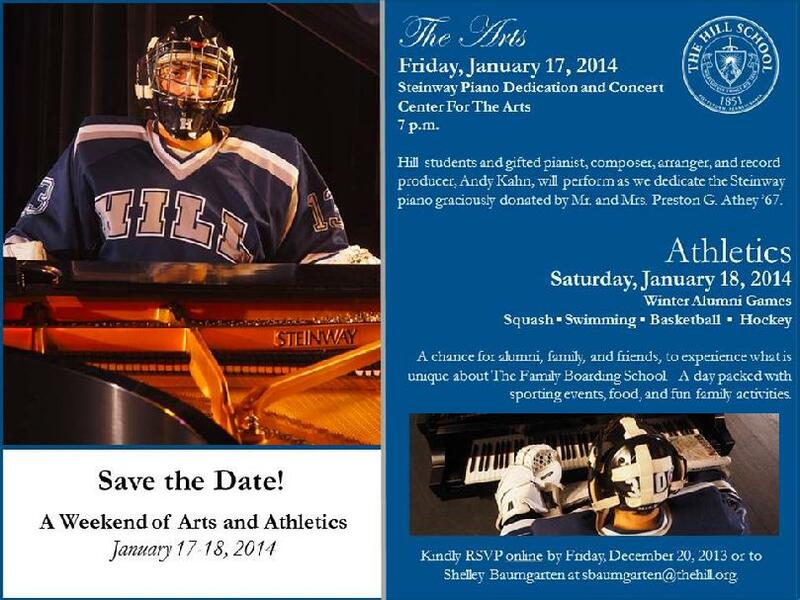 Andy Kahn performs and provides a memorable hour of music, leaving an indelible impression on attendees. Every time he plays, something is learned by way of his explorations into the world of real music. 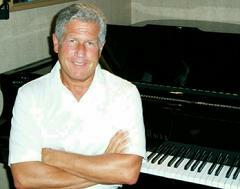 Contact Andy Kahn to perform at your event. It will be an event to remember. Just like the songs.